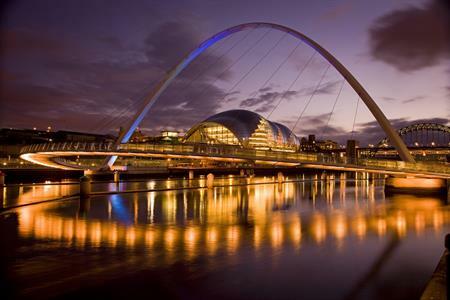 Newcastle Gateshead has won the bid to host both the 2016 British Thyroid Association and the 2018 European Thyroid Association meetings, thanks to its strengths in science and healthcare. The destination has historic links to the development of thyroid hormone replacement therapy, with Newcastle doctor George Murray discovering thyroid replacement therapy in 1891. The British Thyroid Association will hold its 64th annual meeting at the Centre for Life in May, marking the 125th anniversary of the discovery of thyroid hormone replacement therapy. In 2018, Sage Gateshead will host 900 delegates from across Europe for the 41st annual European Thyroid Association meeting, pumping an estimated £1.1m into the local economy. Simon Pearce, professor of endocrinology at Newcastle University, said: "Due to Newcastle's history and excellence in medical research and with the support of the Newcastle Gateshead Conference Ambassador Programme, we were able to bid for and win both the British and European Thyroid Associations. We look forward to welcoming delegates from both Associations to the city, where we will play tribute to Murray's life-changing medical discovery." Paul Szomoru, head of business tourism at Newcastle Gateshead Convention Bureau, added: "Newcastle Gateshead is internationally renowned for life sciences, healthcare and sustainability. We’re proud of our history and the industry-leading research, which is happening today in our city. Through our Conference Ambassador Programme we were able to support Simon in bidding for and bringing both of these significant events to the destination." Newcastle is one of six designated UK Science Cities. The destination is recognised for its strengths in ageing, biomedicine and clinical trials, as well as having an extensive pharmaceutical cluster, accounting for a third of the UK’s turnover in pharmaceuticals. Newcastle Hospitals also undertook the UK’s largest number of clinical trials in 2015.